Vladimir Putin had a working meeting with Dmitry Azarov and appointed him Acting Governor of the Samara Region. 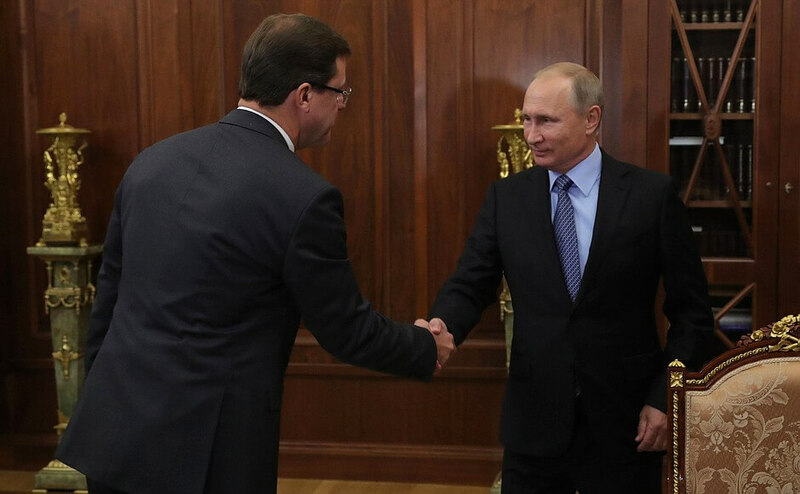 Vladimir Putin and Dmitry Azarov meeting in the Kremlin. Vladimir Putin signed an Executive Order On the Early Termination of the Samara Region Governor’s Mandate. 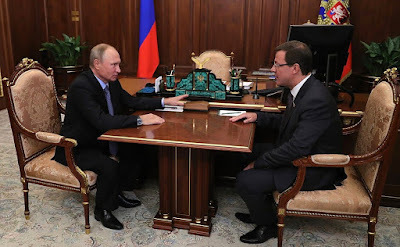 Following Samara Region Governor Nikolai Merkushkin’s request on the early termination of his powers, the President resolved to accept the governor’s resignation. 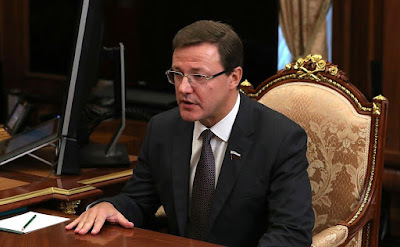 He also appointed Dmitry Azarov Acting Governor of the Samara Region until the newly elected governor takes office. President Putin signed another Executive Order, appointing Nikolai Merkushkin Special Presidential Envoy for Interaction with the World Congress of Finno-Ugric Peoples. Acting Governor of the Samara Region Dmitry Azarov.